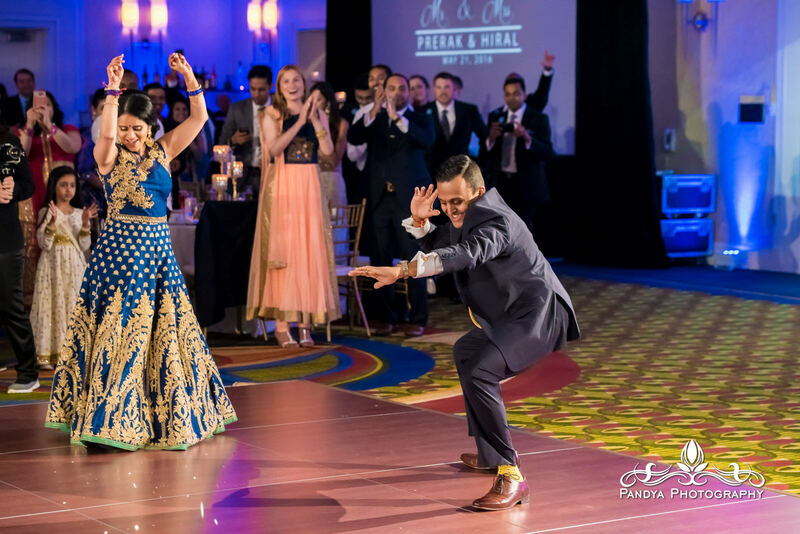 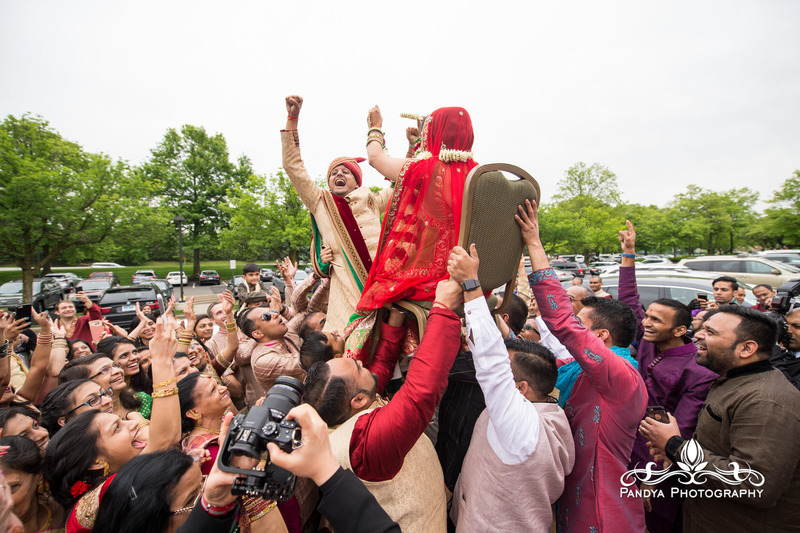 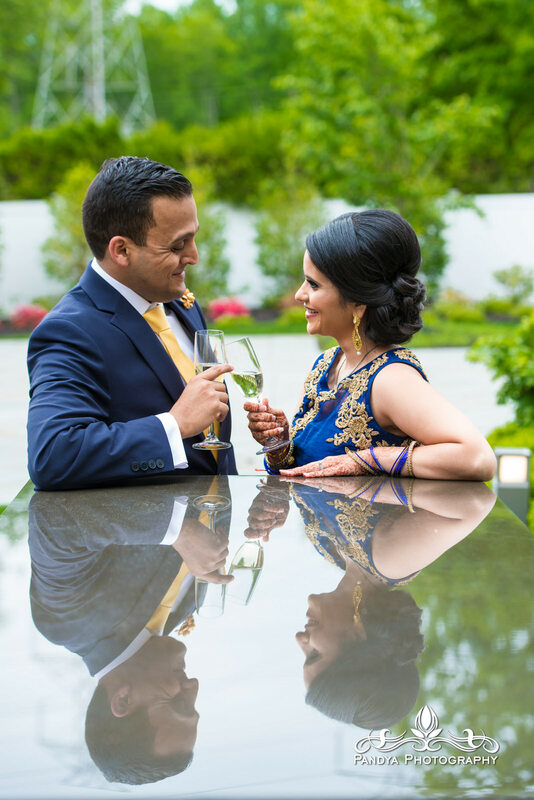 Hiral and Prerak took the plunge and got married at the popular Hanover Marriott in New Jersey. 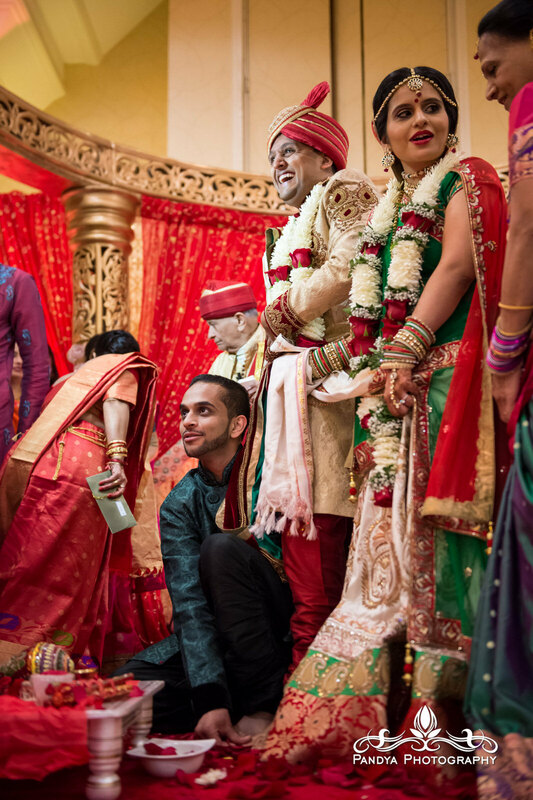 I know Hiral and Prerak through Rishi who is a super talented young photographer that knows his stuff inside and out. 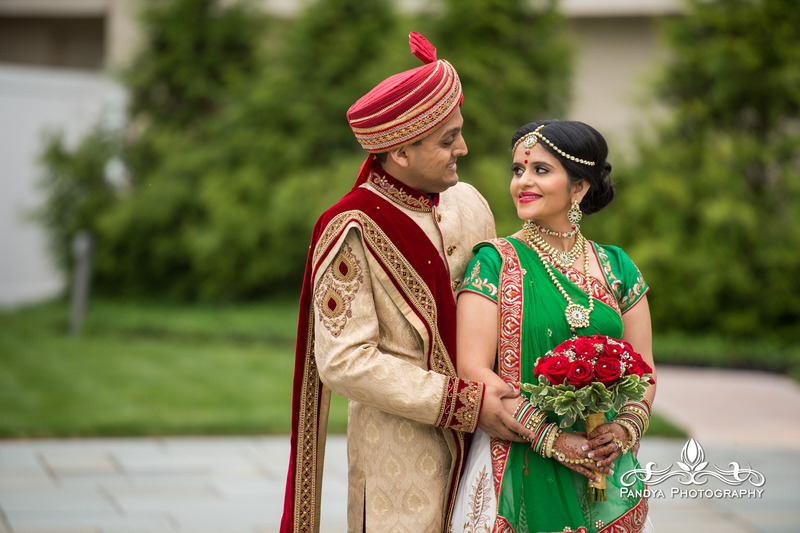 The couple was game for just about anything, which opened up the playing field for me when it comes to concepts and ideas. 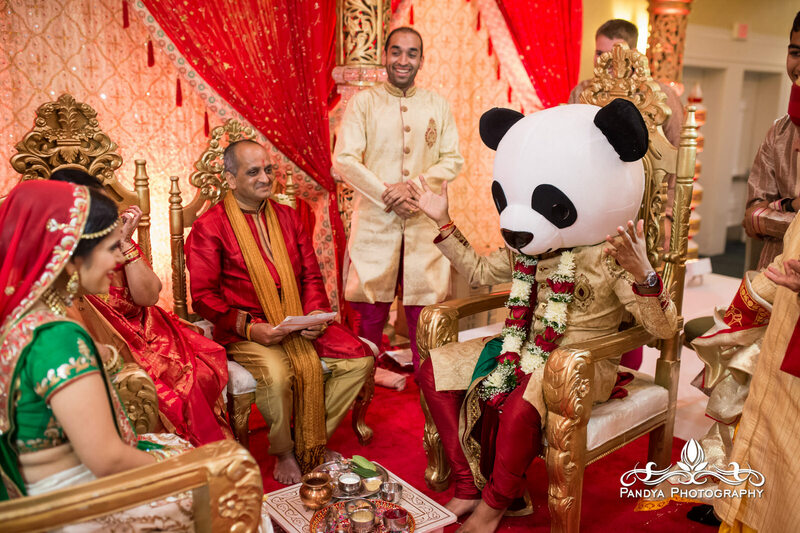 Prerak surprised us all when he put on a huge Panda head while he was behind the Antarpat (the curtain that the groom is behind when the bride enters) and Hiral just couldn’t help bursting into laughter! 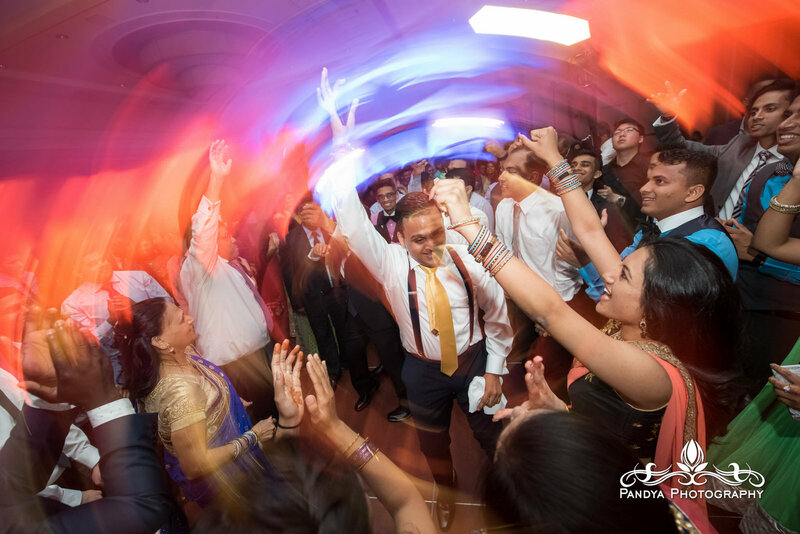 After shooting weddings for over a decade, this was a first for me! 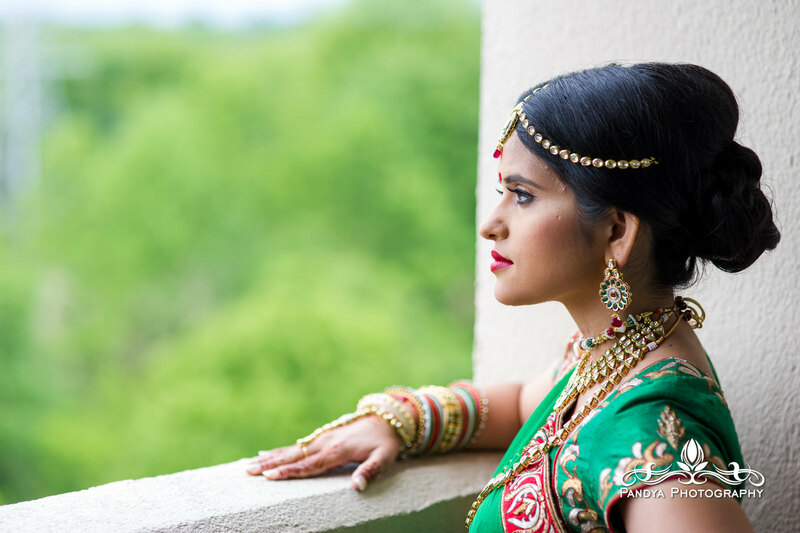 As a photographer, I always enjoy seeking unique spots for photos and both Hiral and Pre gave me full range to try out some off beat spots. 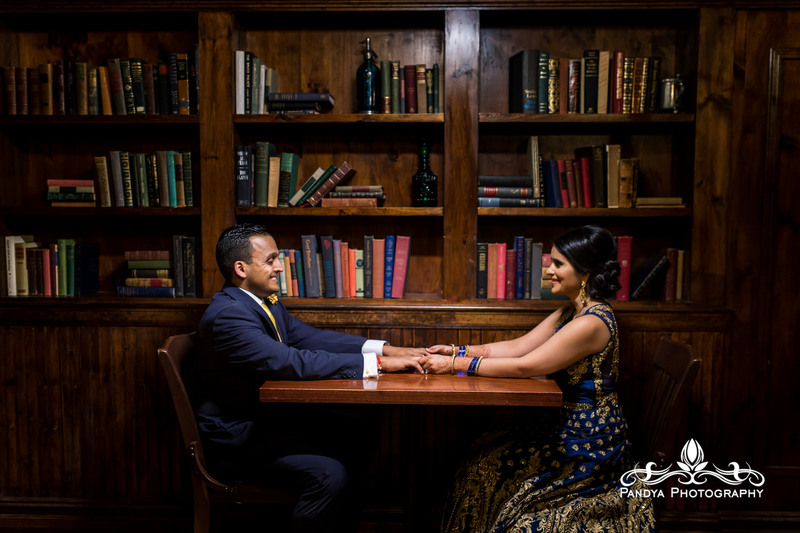 Thanks to the planning team at Platinum Dream Events and the staff at the Hanover Marriott, we got to shoot in the nooks of some of their on site restaurants and bars. 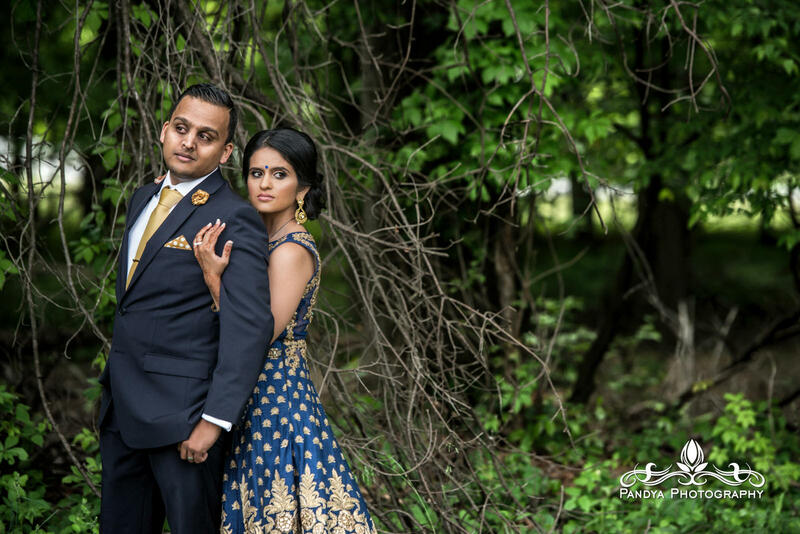 I found a spot way, way out back that was full of lush greenery, and when I asked the couple if they wouldn’t mind take a bit of a walk into the woods, they didn’t even hesitate to say YES! 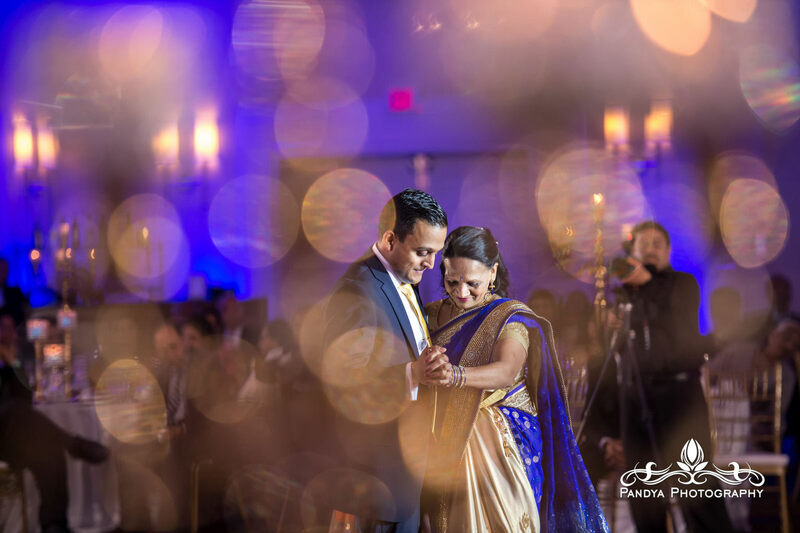 At the end of the night, it was pouring raining – and I just wanted one more shot. 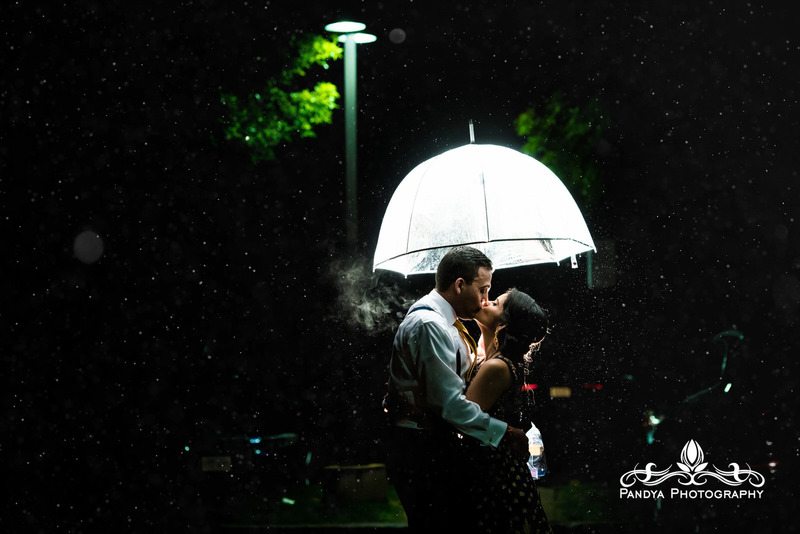 Yep…these two crazies agreed to come out for just one last photograph in the rain! 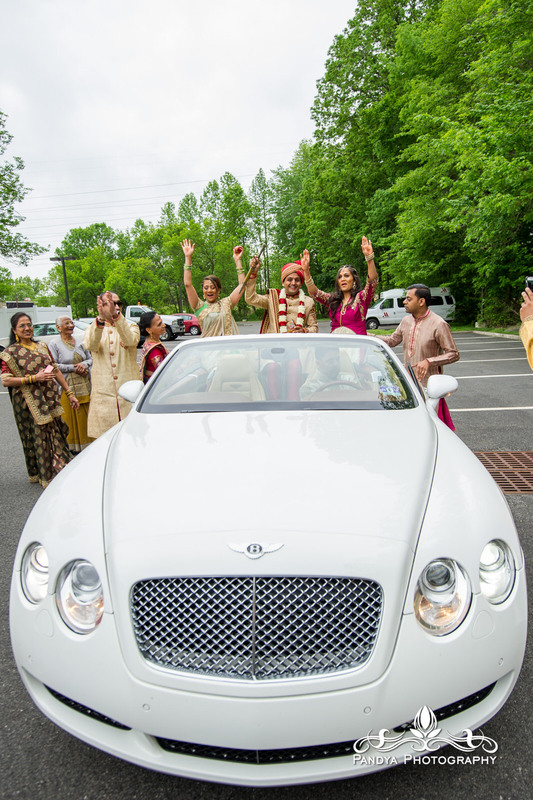 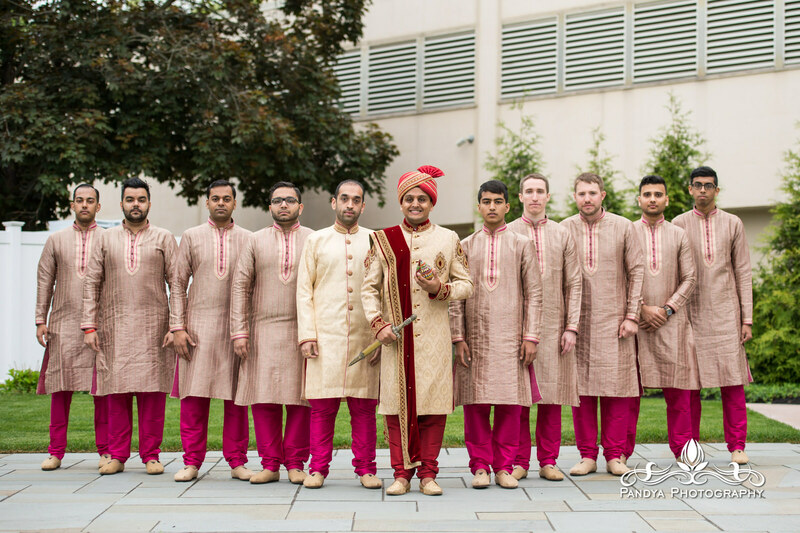 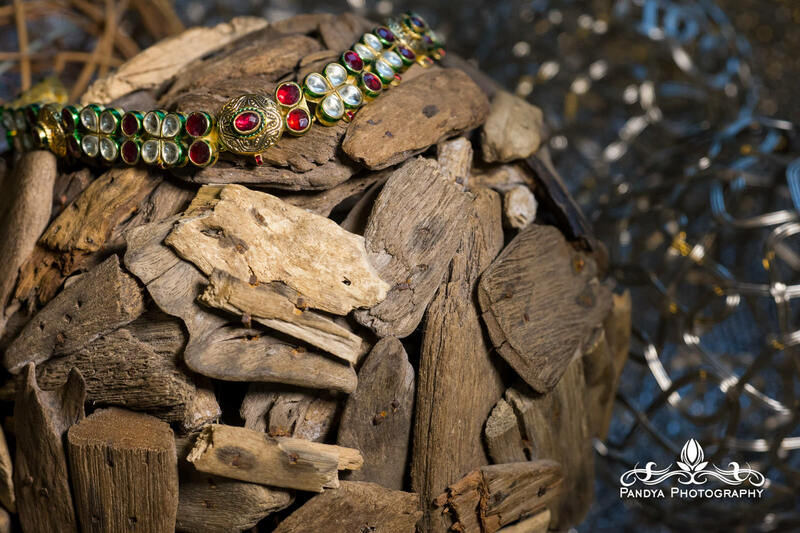 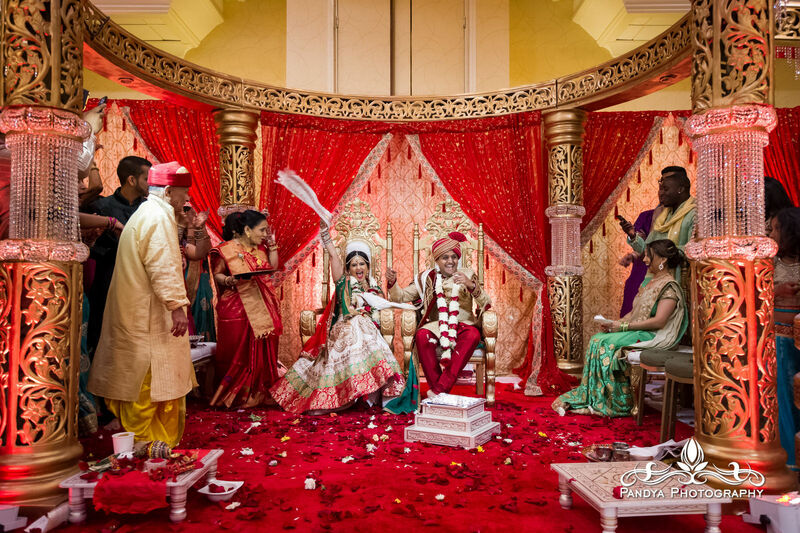 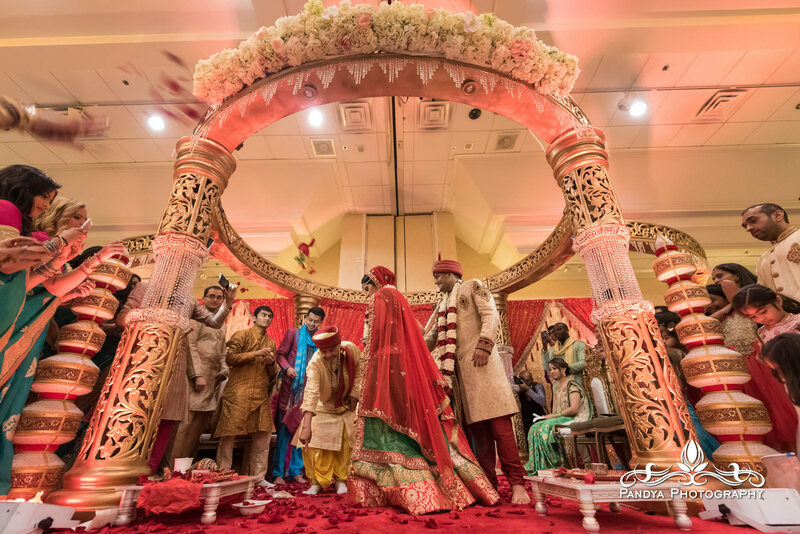 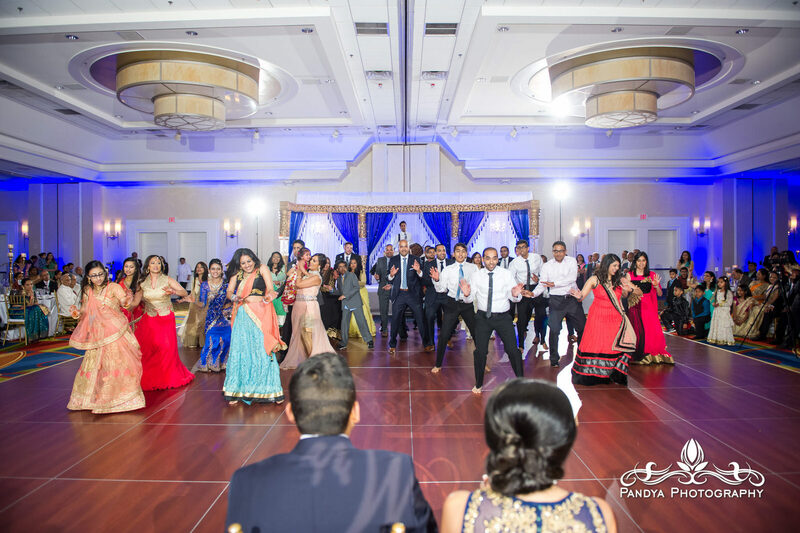 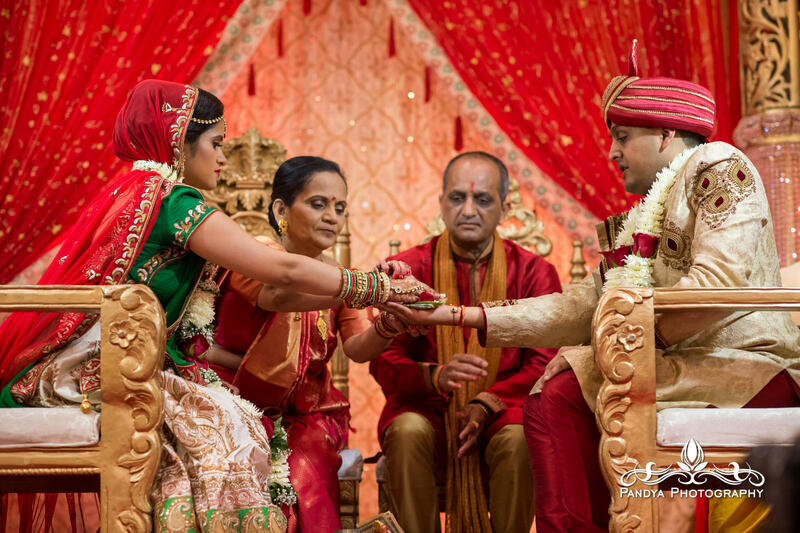 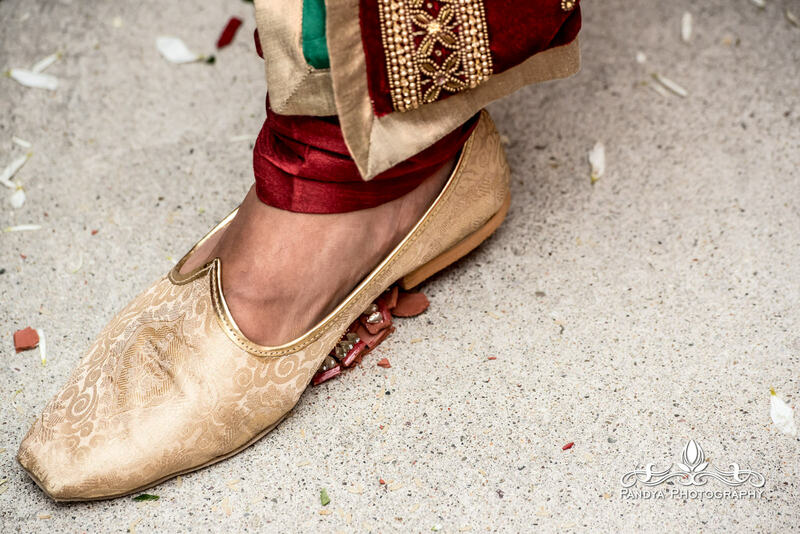 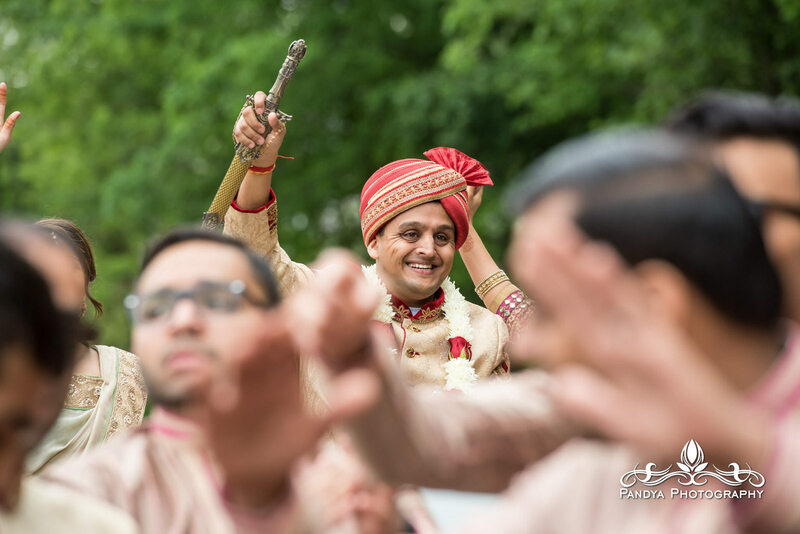 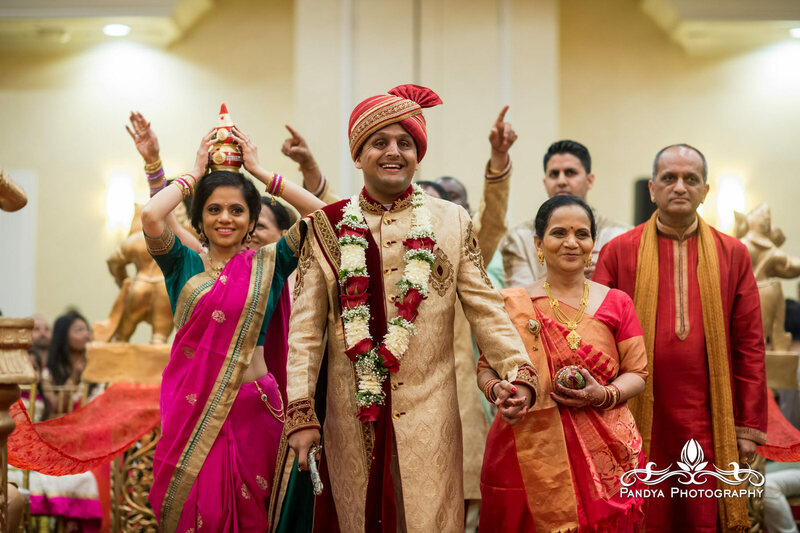 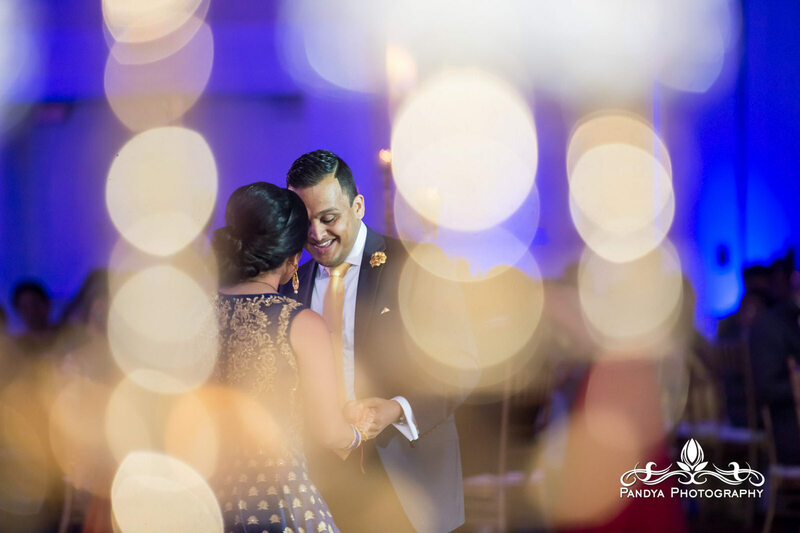 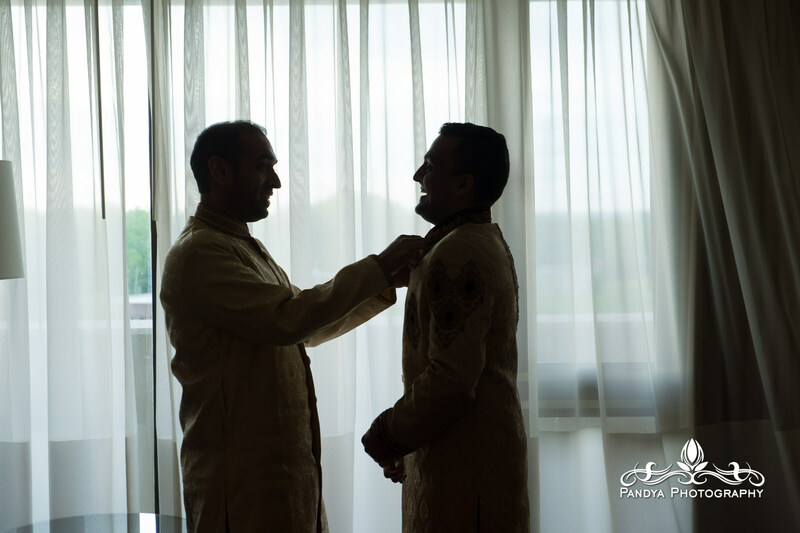 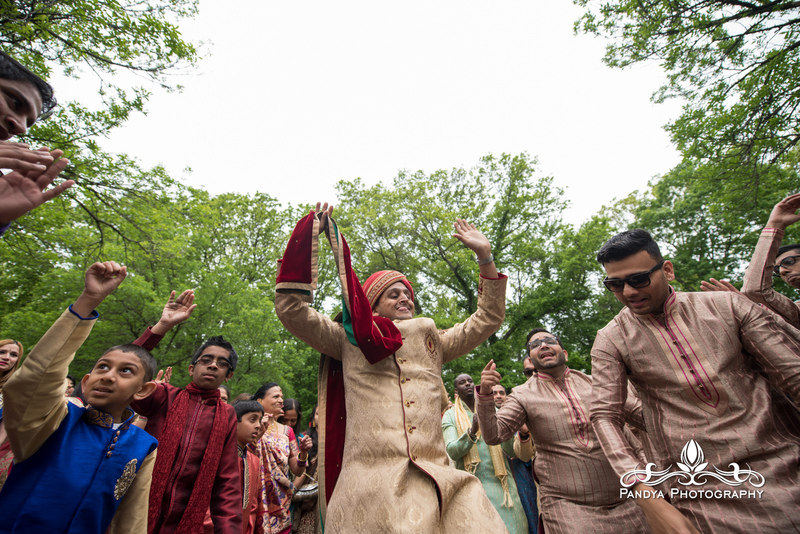 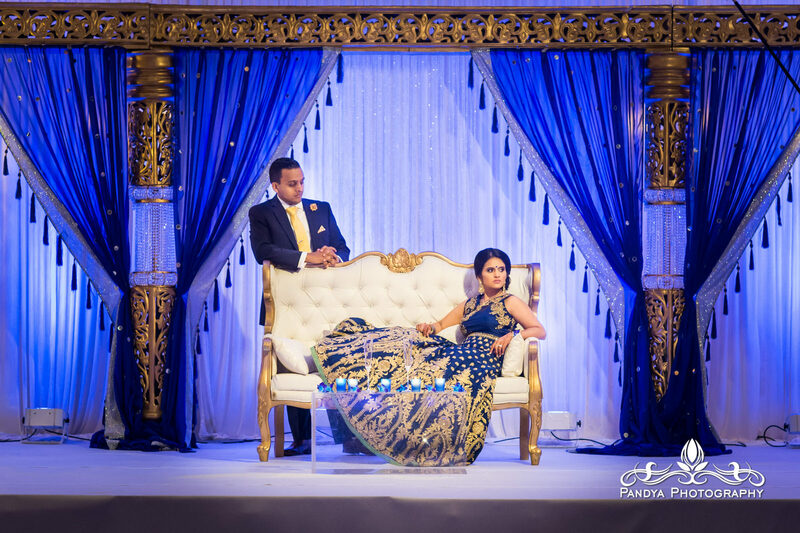 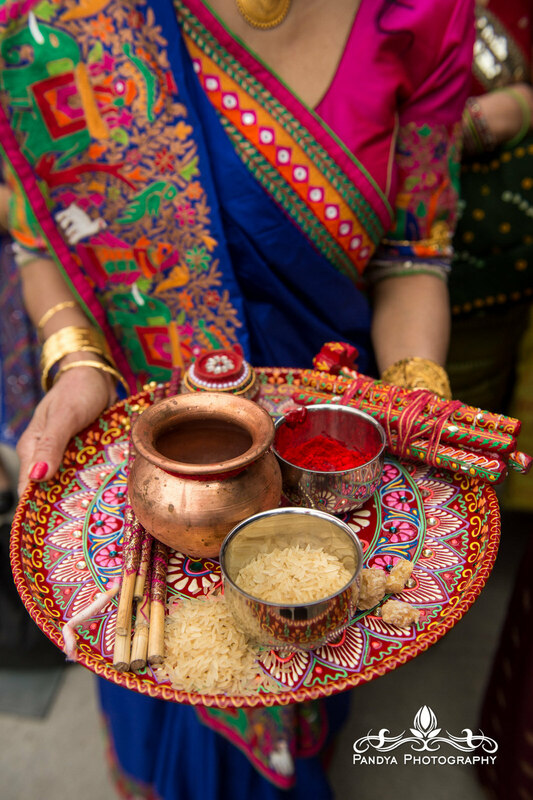 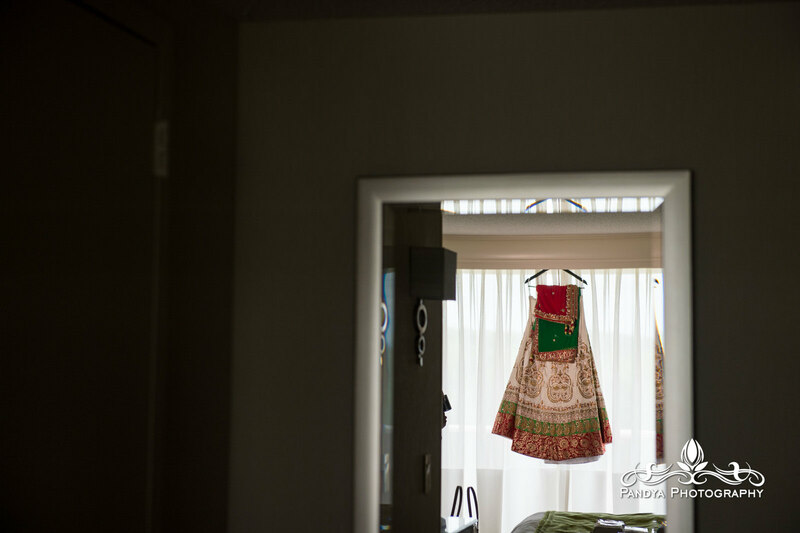 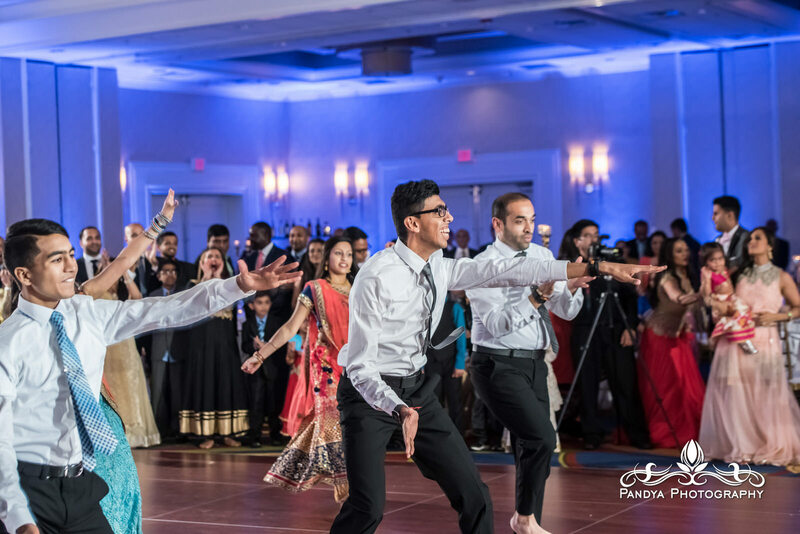 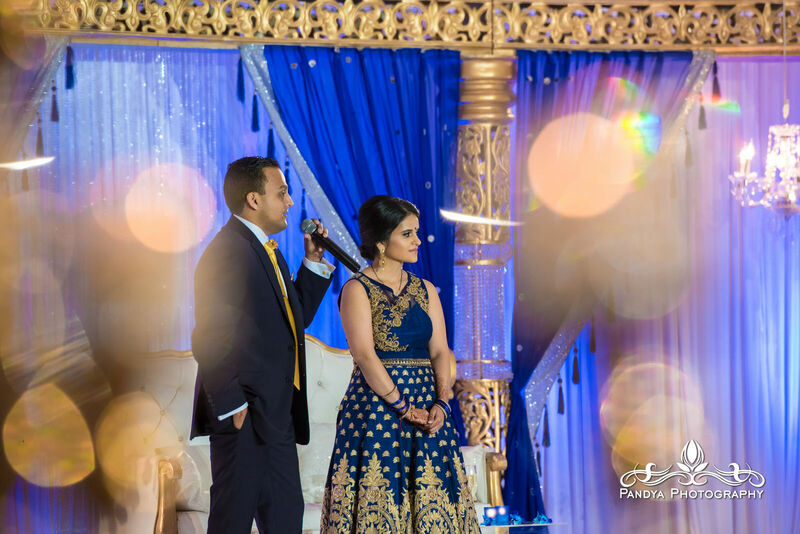 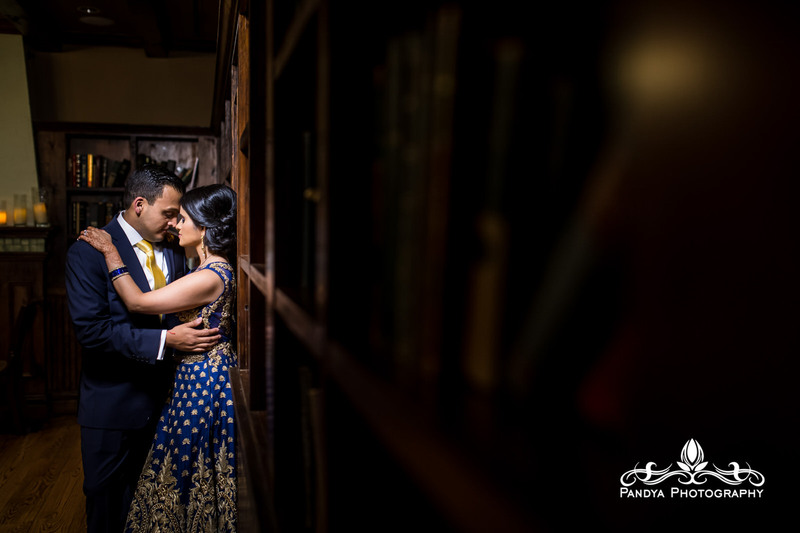 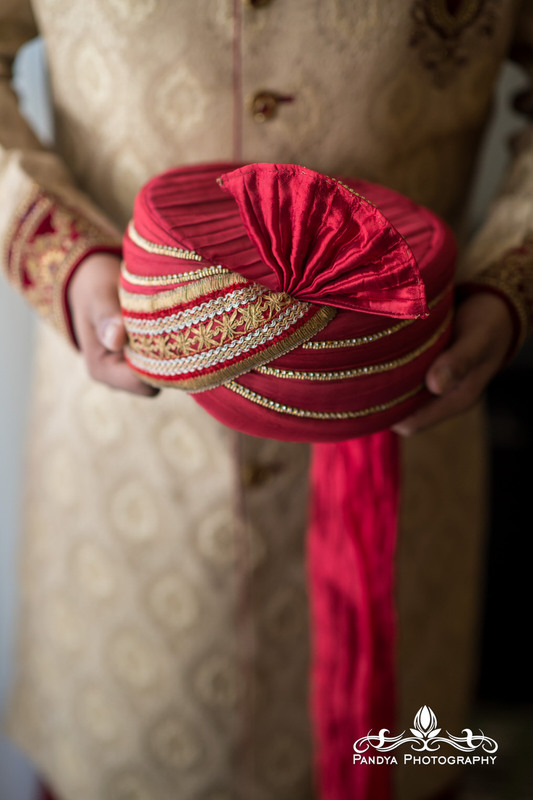 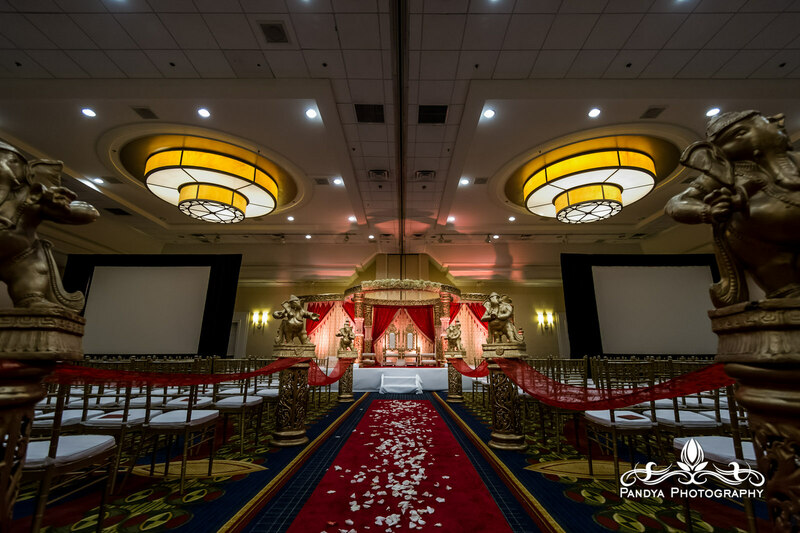 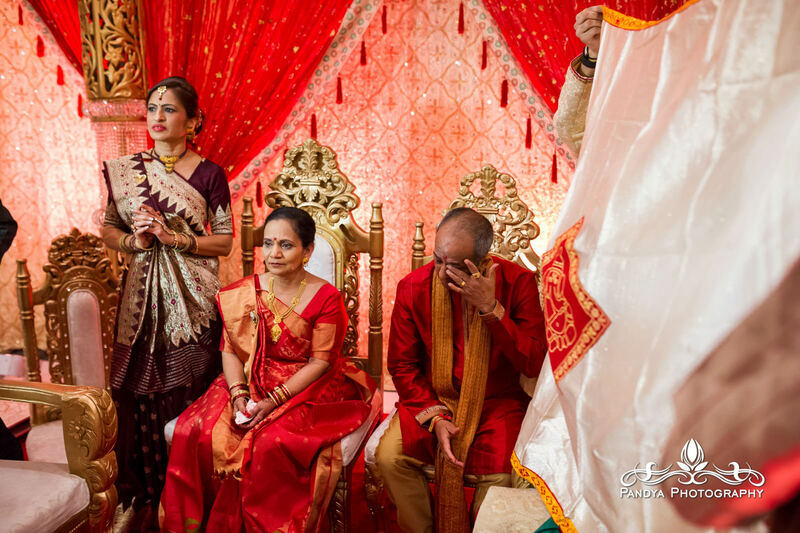 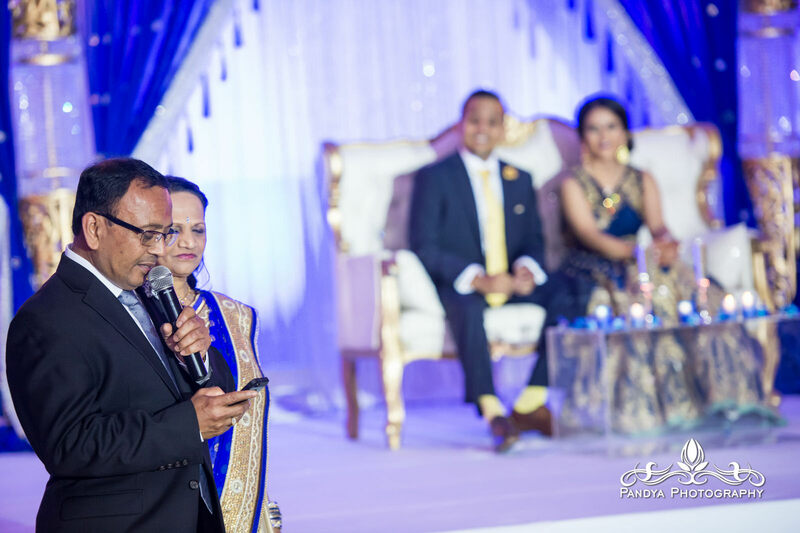 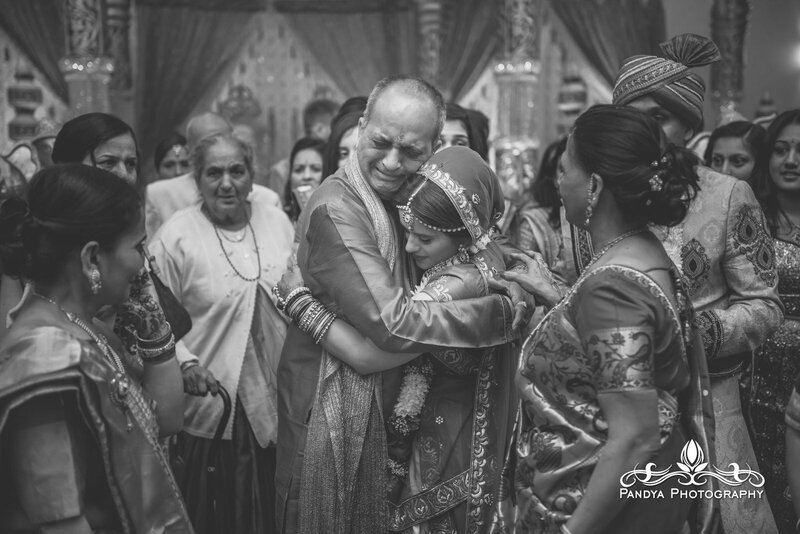 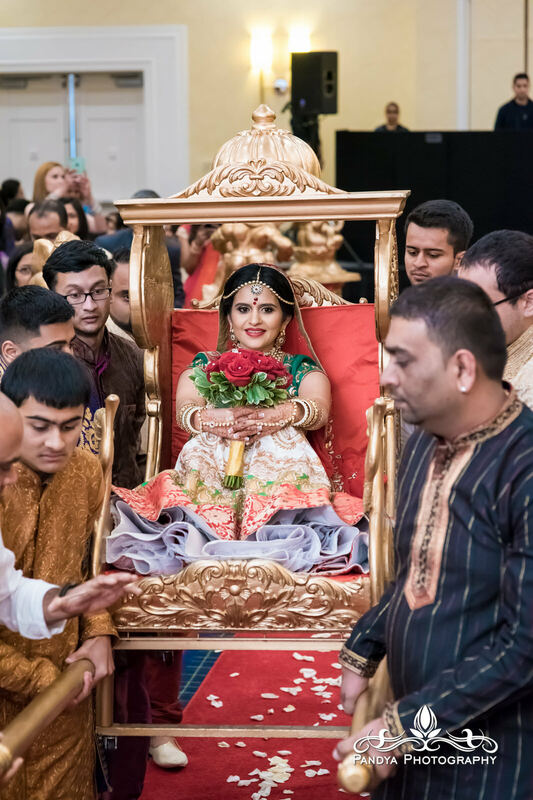 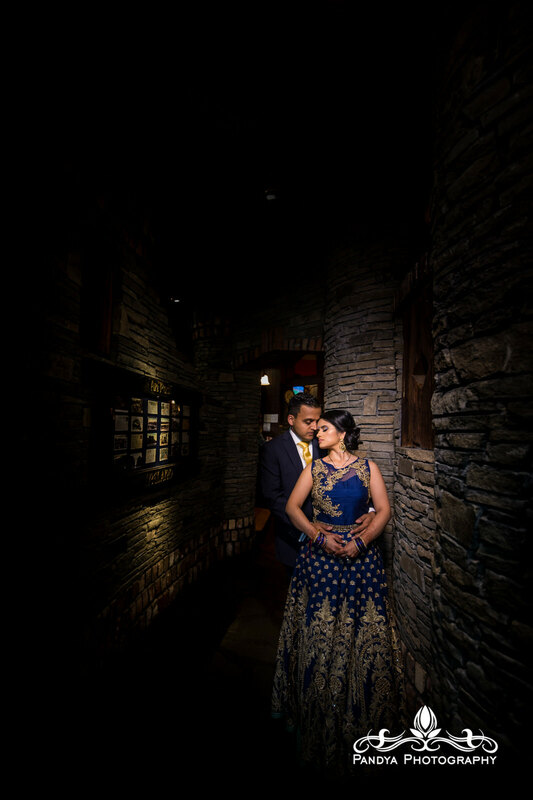 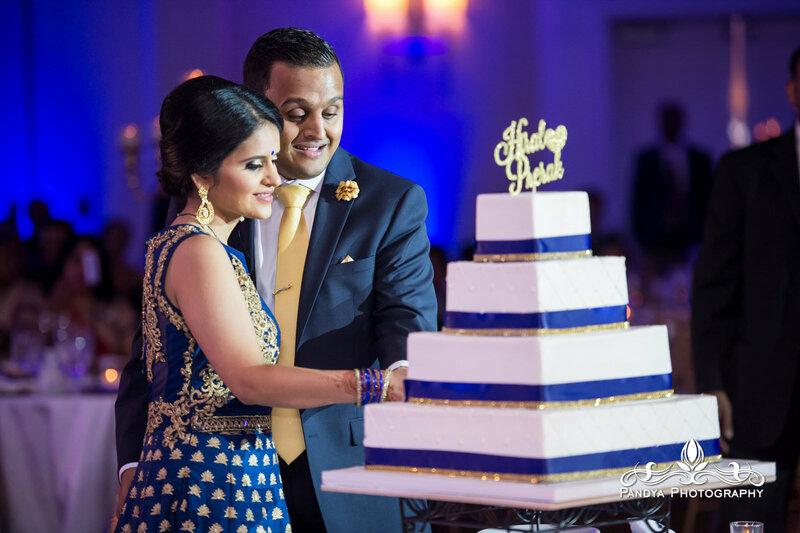 This entry was posted in blog, Weddings and tagged hanover marriott, Indian wedding, indian wedding photographer nj, New Jersey Indian Wedding, pandya photography.